Designation: College of Engineering & Science, Victoria University. List of Author(s): Celalettin M, King H.
Copyright: © 2018 Celalettin M. This is an open-access article distributed under the terms of the Creative Commons Attribution License, which permits unrestricted use, distribution, and reproduction in any medium, provided the original author and source are credited. The ‘Celalettin-Field Quantum Observation Tunnel’ (COT) is a speculative structure produced in an ensemble of Orbital Angular Momentum (OAM) polarized outer ‘s’ shell electrons, whereby an incoming photon, depolarizes ‘s’ shell electrons as it burrows through the ensemble, creating a tunnel. The depolarized particles when viewed as a single quantum system can theoretically be used to acquire information on the incoming photon which in effect, measures it satisfying the criterion for ‘quantum observation’. Enabling equations are discussed which describe the behaviour of the photon / electron interactions in the tunnel, the medium in which the tunnel is produced, and the information the medium acquires on the photon as it tunnels through. The Schrodinger wave equation, Mathieu differential equation, Lagrangian QED plasma equation and the Lorentz quantum parameter (OAM coupling) simultaneously describe the COT phenomenon. This study proposes the COT as a quantum communication countermeasure, be it a quantum radar or spy satellite utilizing quantum computing. Military quantum communications, Quantum entanglement, Quantum radar, Spy satellites. Quantum communications operate unaffected by extant signal countermeasures . Using a quantum radar as an example, where as in the past, electromagnetic waves from a conventional radar would rebound off a jet and return to the radar, fighter jets had options to counter such attacks by absorbing or reflecting the electromagnetic waves. In addition to other jet borne stealth capabilities, plasma stealth clouds are highly researched and consist of ionised atoms which trap electrons, preventing them from returning to a conventional radar. In a quantum radar, the entangled photons are not as affected by electromagnetic absorption as the photons are not drawn to ionized atoms in the way electrons are. Information is acquired by monitoring the retained idler photon (γIdler) . The cause of quantum observation is a topic of global scientific, religious and philosophical debate, with the most widely accepted scientific understanding being the ‘Copenhagen interpretation’. This interpretation states that when a photon’s spin, OAM or frequency is measured then the entangled photon in a superposition collapses to a single position. Introducing quantum observation into the function of a quantum radar, or spy satellite harnessing quantum communications would inhibit its ability to function . This study introduces quantum observation to cause quantum decoherence, to military quantum communications devices. In a quantum radar, its entangled signaller photon (γsig) is observed via a proposed ‘Celalettin-Field Quantum Observation Tunnel’ (COT). At Equation 11 the proposed COT would enable stealth fighter jets to remain stealth in the presence of a quantum radar. A proposed Polarized Electron Cloud (Pe.Cloud) is required to enshroud the jet to provide a medium for which γsig, would leave an ensemble of depolarized electrons as it attempts to reach and rebound off the jet. When viewed as a single quantum system, information on γsig is acquired by the production of the COT through the medium enabled by OAM coupling between the entangled photon and the polarized electrons in the presence of an electric field, made of depolarized electrons in the Pe.Cloud. This is discussed further in detail. The aerodynamic complications that the Soviet Sputnik program encountered and those that the U.S are tirelessly trying to overcome by enshrouding a supersonic fighter jet with an airborne ionized chemical plasma cloud are all avoided [4-6]. This is because the Pe.Cloud is not an on-board plasma, nor is it deployed via a continuous flow via on board canisters. Rather, it polarizes local outer ‘s’ shell electrons; there is no requirement to entrap electrons beamed from a conventional radar, but rather, treat local photon-photon quantum entanglement via a COT. The COT would be caused by a high energy photon tunnelling into the Pe.Cloud, namely a scalar quantum electrodynamics (QED) Lagrangian operation with OAM coupling. This is the crux of the idea behind the COT as enables the interaction between the photon and the OAM polarized electrons in the Pe.Cloud in order to allow a COT to be produced . The COT exists when considering the intrinsic OAM’s of all affected depolarized electrons as a single quantum system whereby the individual depolarized electrons cannot be described independently of each other. The γsig’s size would be evidenced by depolarizing the intrinsic OAM of Pe.Cloud’s electrons tunnelling through the Pe.Cloud, and the Pe.Cloud density would increase as the photons scatter the electrons during tunnelling; essentially enabling the Pe.Cloud to be provided with information on the γsig. This satisfies Werner Heisenberg’s quantum observation requirement, and therefore would cause quantum decoherence between the quantum radar’s entangled photon’s, subsequently inhibiting its function . In Figure 1, an extant plasma stealth cloud currently used to absorb electromagnetic radiation is illustrated. The plasma stealth cloud is made of ionized atoms which attract the electrons beamed from a conventional radar [9-10]. This plasma stealth cloud would have no effect on a quantum radar, as photons would not interact with ionized atoms and the γsig, would penetrate the plasma stealth cloud striking the jet [2,11]. Figure 1: Plasma stealth cloud. Achieving these aforementioned objectives would theoretically keep the jet stealthily in the presence of a quantum radar. The capability to enshroud a supersonic jet with a plasma stealth cloud already exists , and Lockheed Martin already have a patent on a military grade quantum radar [12,13]. In Figure 2, the proposed COT is illustrated as being produced in the proposed Pe.Cloud. OAM coupling is proposed to be caused by the tunnelling γsig, leaving an ensemble of depolarized electrons. When considered as a single quantum system, the γsig could be measured , monitoring the density of the Pe.Cloud or imaging the COT; a form of quantum observation [14-20]. Celalettin-Field Quantum Observation Tunnel (COT). Figure 2: Celalettin-Field Quantum Observation Tunnel (COT). 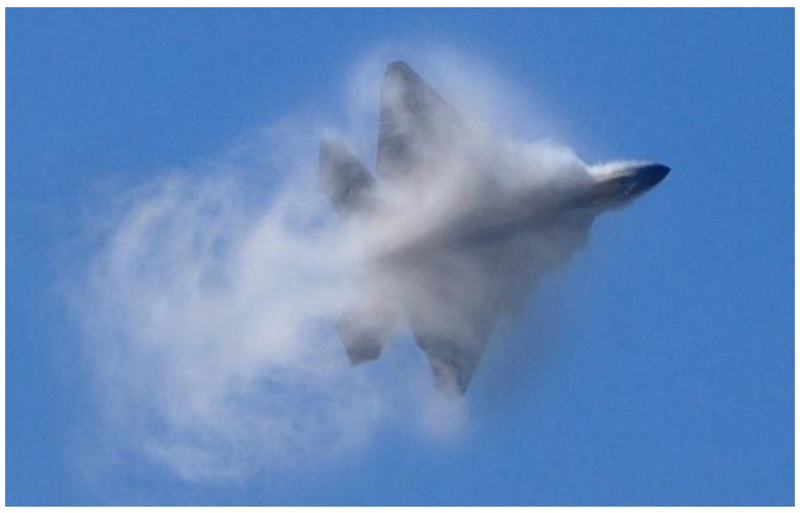 This study investigates a phenomenon that is expected to take place within fractions of a millionth of a second prior to the fighter jet’s on-board electromagnet repolarizing the depolarized COT electrons, into their initial Pe.Cloud. continue style. The scalar quantum electrodynamics (QED) Lagrangian operation with OAM coupling at Equation 10, which enables the interaction between γsig and the OAM polarized electrons in the Pe.Cloud in order to allow a COT to be produced . The wave function for quantum entanglement at Equation 1, which described the entangled photons employed in quantum communications as and mathematically describes γsig. The Boltzmann equation for a plasma at Equation 3, to accommodate the density of the environment in which the photon-electron interactions will occur in the presence of an electric field. The density of the Pe.Cloud is paramount as depending on the size of γsig, enough medium is required to acquire information on it. The quantum parameter χ in units of Schwinger acceleration as ≡ m, at Equation 8. If it is greater than 1, then it is determined that γsig has a quantum nature, which is why the Lagrangian formulation of the scalar and spinor in an electron reservoir is relevant as under special conditions later mentioned, this equation is appropriate. Time. Whilst not an equation, the power output of the electromagnet it known and the COT will only exist for the amount of time it takes for the electromagnet to repolarize the OAM’s of the depolarized electrons. Therefore, the new learning is not that there is a new mathematical formulation, but rather that the correct equations are present, running simultaneously under the correct condition to enable the production of a COT. The quantum mechanical operator used to operate on the wave function for the purpose of the COT is the Hamiltonian, for which solutions for time independent quantum equations exist as eigenvalues . Quantum observation has also been defined by Werner Heisenberg as ‘sampling the observable’ [8,25]. Therefore, if the observer can sample the state, then the state of the observable changes and the observer can no longer be factored out . Rubidium isotope 87 (Rb87) atoms have a complete shell structure plus one electron in its outer ‘s’ shell . If atoms with one electron in its outer shell are passed through a non-homogenous, vertical magnetic field, their polarizations are aligned upwards and downwards [28,29]. This is due to the randomly opposite spin states of their outer s electrons . When sending Rb87 atoms in a superposition of two states through a microwave cavity, the two quantum states shift phases causing quantum decoherence . Observing quantum decoherence by OAM coupling within a polarized Rb87 atomic gas chamber as opposed to pumping quantum entangled Rb87 atoms into a microwave cavity is therefore a plausible experiment. Where: ne = electron number density, Te = temperature of the plasma, and kB = Boltzmann constant and φ = work function. Where: K = Kinetic energy of the signaler entangled photon, h = Planck constant, f = frequency of the incident photon which denotes the minimum energy required to move a delocalised electron as per Einstein’s work on photon / electron interaction. If the quantum radar’s γsig were 200nm, at Equation (4) there will be enough energy in the Pe.Cloud for it to produce a COT . The quantum parameter χ in units of Schwinger acceleration as ≡ m. If it is greater than 1, the particle motion in the electromagnetic field has a quantum nature, hence this research will consider the Lagrangian formulation of the scalar and spinor in an electron reservoir . Where: s = proper time of the particle and m = particle mass. The behavior of atomic Rb87 and the γsig’s energy required to depolarize atomic Rb87 outer ‘s’ shell electrons have been derived at equation (14). An ensemble of polarized atomic Rb87 is governed by the Lorentz invariant parameters which consist of both classical and quantum, for which equation (9) is the quantum parameter . Considering the electron motion in a quantum parameter (χ > 1), QED describes the γsig emission process. This study re-visits Raicher et al.’s construction of the Lagrangian scalar formulation of QED in a plasma. It is not possible to describe electrons in terms of a scalar due to Faraday’s Law of Induction, unless a magnetic vector potential is included . So therefore magnetic vector potential is included through the inclusion of an electromagnet, enabling the use of this equation. The electromagnet is required to be high energy enough to OAM polarize the electrons that enables the Lagrangian scalar formulation to investigate the required kinetic energy of the laser to cause the COT. 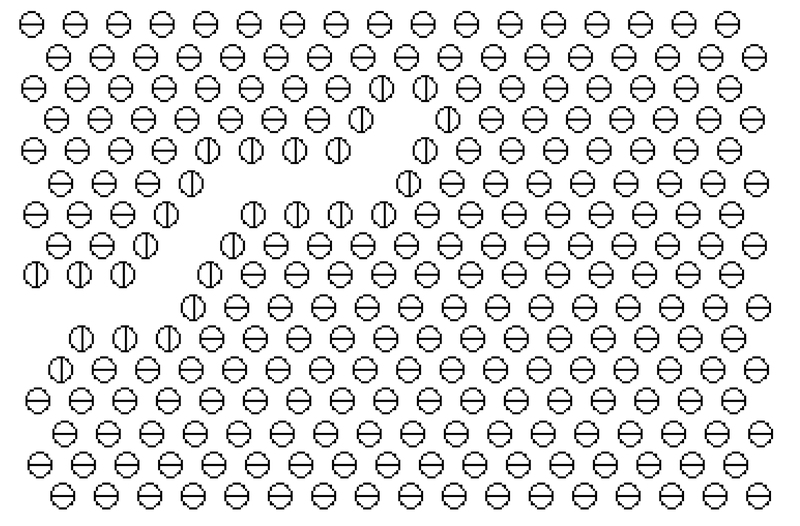 Where: ∂2 ≡ ∂μ∂μ, A2 ≡AμAμ, A·∂ ≡ Aμ∂μ. Further, the Dirac / Klein-Gordon equation reduces to the Mathieu ordinary differential equation under special conditions. This equation proposes that when a γsig of sufficient energy enters a Pe.Cloud, it will produce a COT via both Compton scattering and OAM coupling. The Pe.Cloud can then be imaged and the COT is proposed to acquire information on the γsig’s size / frequency and the Pe.Cloud’s change in density which would prove that the depolarized electrons have been pushed aside during γsig’s tunnelling through the proposed COT as discussed. The mathematical proof of concept that a Pe.Cloud causing quantum decoherence via a proposed COT is mathematically feasible. Calibration of said variables will be performed in future papers to achieve quantum observation via a COT, and if so, it will be hypothesized that introducing this new learning combined with extant plasma stealth cloud jet canisters would defeat a soon to be deployed military quantum radar and other quantum communication devices.